Beyond providing data for all 32 NFL teams, PFF also supports network broadcasters with game-preview packets that are used to enhance the in-game experience for fans and viewers. This Seahawks-Cardinals preview features the same information our broadcast partners use for team research and in-game production. 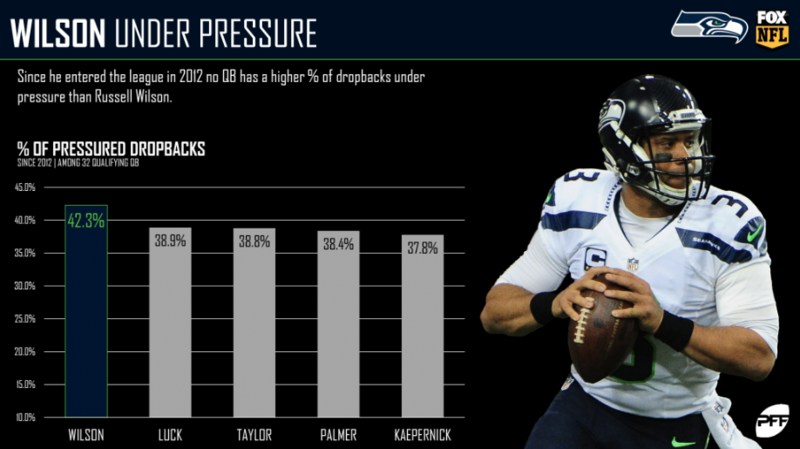 Since he entered the league, no quarterback has had a higher percentage of dropbacks under pressure than Russell Wilson. He’s performed remarkably well under that pressure too and has produced the league’s fifth-best passer rating (73.4) and the fourth-most touchdowns (46) among signal-callers in that span. 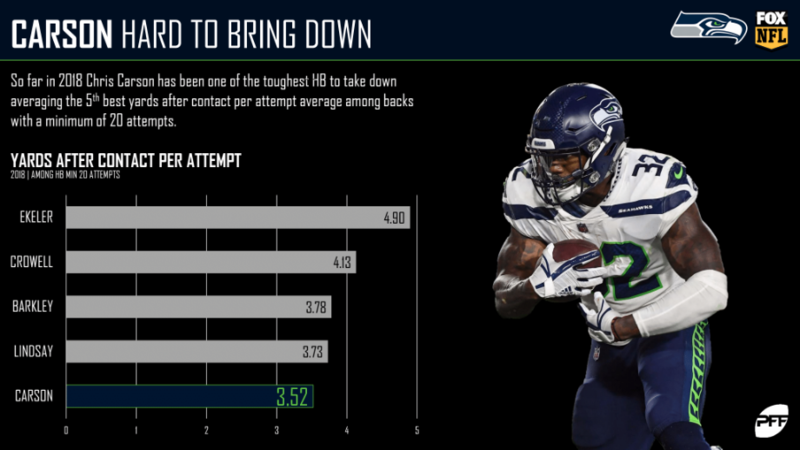 So far this year, Seahawks running back Chris Carson has been one of the toughest running backs to take down. Through three weeks, Carson’s average of 3.52 yards after contact per attempt ranks fifth among running backs. 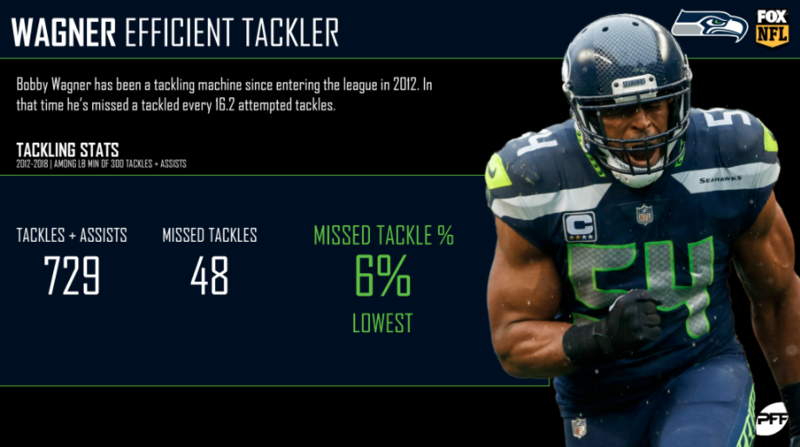 The Cardinals offense will have to produce something special if they want to get past Seattle’s Bobby Wagner. Since 2012, he’s missed just 6% of his tackling attempts – by far the best rate in the league. Thomas the best in the league? Against the Seahawks, The sputtering Cardinals passing attack will face their toughest challenge to date: Earl Thomas. 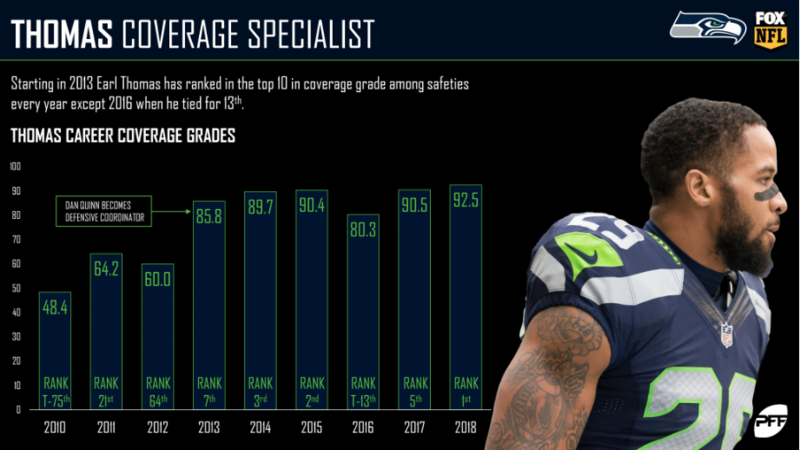 The veteran free safety currently ranks first among players at the position in coverage grade and is coming fresh off Week 3’s two-pick performance. 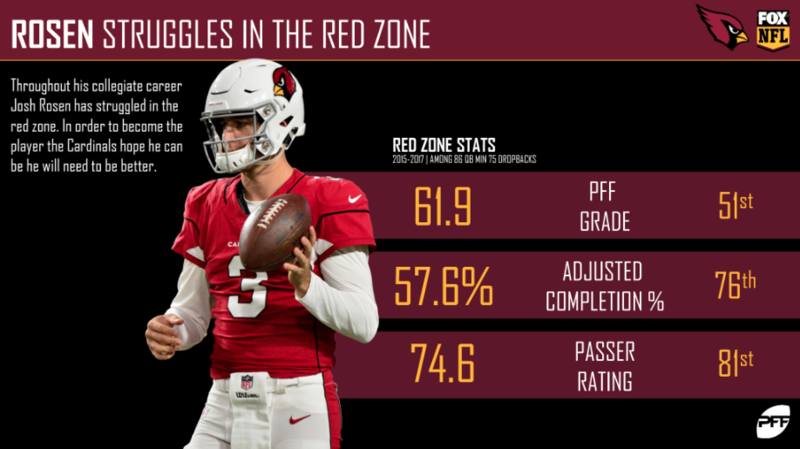 Quarterback Josh Rosen struggled in the red zone throughout his college career. The Cardinals simply need him to improve on this if they want to save their season. 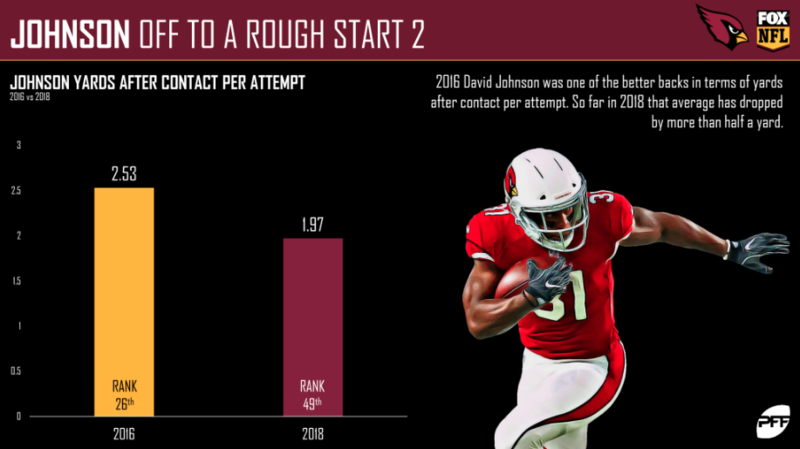 David Johnson is yet to return to his dominant 2016 form, and through three weeks, he is averaging more than half a yard less after being contacted by a defender. 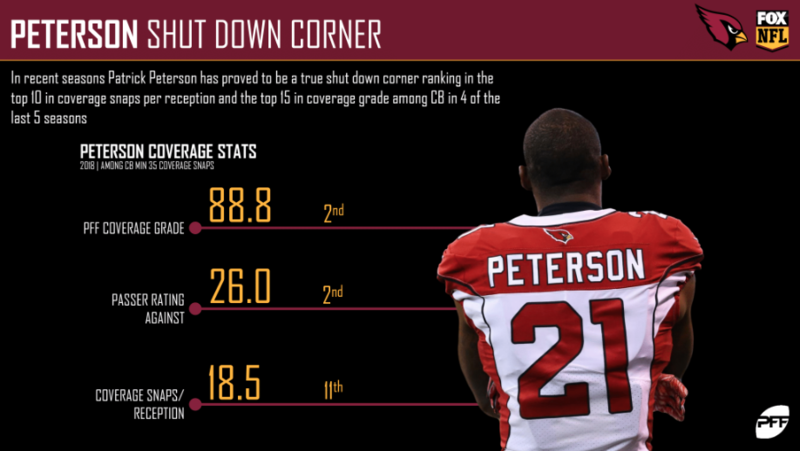 Patrick Peterson is the definition of a shutdown cornerback. So far this season, he’s allowed a passer rating of just 26.0 on throws into his coverage, which is currently the second-best mark in the league. 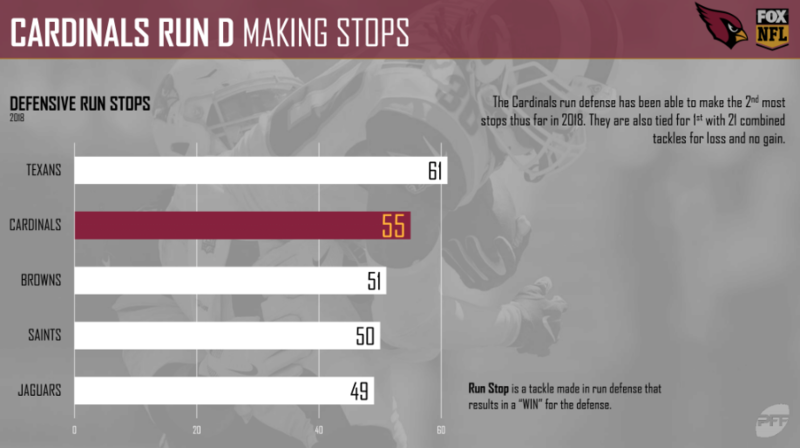 The Cardinals run defense has been one of the most productive in the league so far. Through three weeks, they’ve accumulated a whopping 55 defensive stops, which is second to only the Houston Texans. 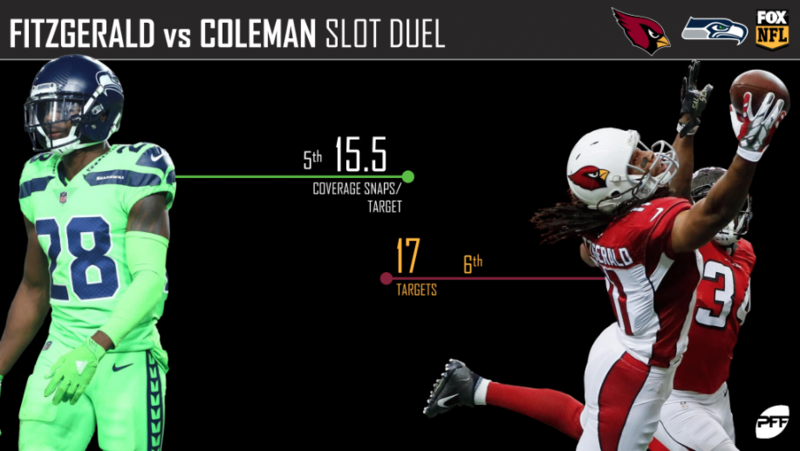 PFF Greenline has projections for the spread, moneyline and over/under of the Seahawks’ matchup with the Cardinals. Get its picks here.